In the last five years 6.2 million people in the UK have used “cowboy traders” to complete work and have suffered the consequences. It has been recently reported that a whopping £3.7 billion has been spent on repairing the problems caused by using these workmen in the past five years raising a concern on the awareness of the importance of checking the tradesmen’s credentials before letting them loose on your essential building work. It is always important to make sure that tradesmen have completed the correct gas, electrical or plumbing courses! The research, which was carried out by Sainsbury’s, has found that under qualified plumbers are the worst offenders with the average plumbing problem costing £600 to rectify. Ask for recommendations from friends or family – if someone you know recommends a good trader you are more likely to get one! Ask for references or to see any work they have done – this is especially important as if you want any major works done you want to see what it looks like when it is done. If they belong to a competent persons scheme check – most competent persons schemes uphold the highest standards and allow you to search for tradesmen on their own website, guaranteeing a good job. Get at least three writtenquotes – this allows you to get a good idea of the value the tradesman places on their work and if anyone is under or over quoting ask them why? 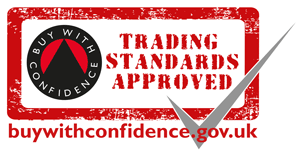 Look for the trust mark, many schemes are associated with the government endorsed trust mark scheme where you can also search for registered tradesmen. According to International Supermarket News, only 36% of people ask for more than one quote and only five per cent know to ask for the government-endorsed TrustMark registration. Options offer a selection of plumbing courses, gas courses and electrician training, to help you become one of the quality tradesmen call us free on 0808 115 6538 or fill in a form on the right to find out more. Electrician Training - What is an RCD?